Fujifilm is about to debut a brand new addition to their Cabrio range - the XK 6x20 light weight cine zoom with the impressive 20-120mm range at T3.5 constant aperture. The new light weight zoom lens will be available in industry standard PL mount thus making it a perfect fit for Super35 digital cameras such as the ARRI Amira, Sony PMW-F55, Varicam LT, and C300 PL mount. This entry was posted in Accessories, Lenses, News and tagged Fujinon 20-120mm T3.5, Fujinon XK6x20, Fujinon Cabrio XK, Fuji, Fujifilm, Lenses, Fujinon on 5th April 2016 by Visuals. 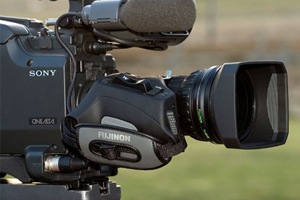 Renowned for their optical quality, design and functionality, Fujifilm have been a leading force in the world of photographic solutions and broadcast lenses for quite some time. As technology evolves and more and more manufacturers look towards 4K capture, something that camera manufacturers have been doing for the past few years, it's only a natural and logical next step for glass makers to start thinking about designing lenses optimised for 4K acquisition. 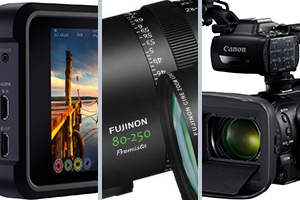 This entry was posted in Lenses, News and tagged Fujinon UA22X8, Fujinon, Fujinon lenses on 27th April 2015 by viblog.